Children's Etiquette - Finesse Worldwide, Inc.
My daughter just left for her freshman year at college. I have been a basket case, to say the least. I will say that what made me feel amazing was when just after four days she sent me a text that said, in all capitals, “I’VE ALREADY MADE SO MANY NEW FRIENDS!” That made my heart so happy and I knew then that she will excel in college. 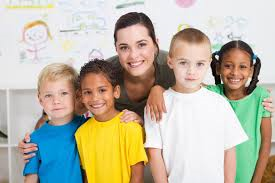 We all want our children to fit in, to make friends, and feel connected and part of a group whether they are in kindergarten or in seventh grade. Some children seem to feel at ease making friends and interacting with others one-on-one and in groups, but some kids struggle and have social anxiety. It’s proven that children who have good social skills are more successful throughout school and life than those who do not have confident social skills. What we can do for our children as they head back to school is to give them a refresher on manners, social skills, and overall children’s etiquette so that they will make a good impression on their teachers and make new friends. 1. Go back to the basics. Remind your children to say “please” and “thank you”. When we use these words we are showing that we understand that people have an option to help us or not and that we appreciate what they do for us. Teachers, coaches and school administrators definitely appreciate kids who use “the magic words”. Use these words with your children and remind them to use these words at home so it becomes second nature. If there are any local children’s etiquette classes near you it might also be a good idea to sign your children up for a refresher. 2. Show respect to those different than you. It’s important to remind our children to not “judge a book by its cover” and to treat everyone the same regardless of their gender, age, race, religion, socioeconomic class, or sexual orientation. Again, we can teach this by example and discourage our children from talking badly about someone just because they are different. Kids who gossip at school and talk badly about others never get ahead. 3. Have positive body language. Research has found that the two traits that make someone likable are “warmth” and “confidence.” If your children can show that they are both warm and confident in their body language, people will be attracted to them and want to be their friend. To show warmth, just smile! So walking into a room or walking up to people, with a smile on your face will tell others you are a warm and happy person. Show confidence in your body language by having good posture, not looking down at a cell phone and then giving people direct eye contact. You can practice this with your kids and encourage them to always look others in the eyes when talking to them. 4. Show interest in and care about others. This applies to when you are talking to someone in-person or when you’re using text or social media. Teach your children that if they can show interest in and care about others, they will make friends and be someone others want to know and be around. Show your kids what it means to be empathetic, teach them how to ask questions about others and to really listen to what other people are saying. There are many ways to teach these skills such as to send your kids to children’s etiquette classes, talk about what not to post or write on social media or in texts, and then practicing making conversation. As parents, we can help our children learn manners and social skills by teaching them and then practicing at home. However, if you want to really reinforce what you are teaching them and give your children more opportunity to practice and increase these skills, you can send your children to classes that teach manners and social skills in a group setting so that kids learn alongside other kids. Below are some children’s etiquette classes this fall in the Lake Norman and South Charlotte areas.